Yasmine joined Liberty Chambers in 2014 upon completion of her pupillage with Mr. James Collins, Mr. Graham Harris SC, Mr. Jeevan Hingorani, Mr. Stanley Siu and Mr. Robin Egerton. Yasmine is a practitioner in both civil and criminal litigation. She has appeared either as a sole advocate or a led junior counsel at Magistrates' Courts, the District Court and the High Court. Within the realms of criminal law, Yasmine has represented clients in a range of areas including drug-related offences, sexual offences, road traffic offences and commercial crime including conspiracy to defraud, falsification of accounts and other fraud-related offences. 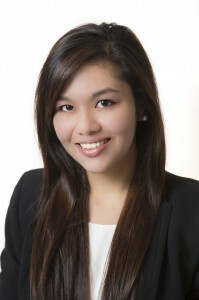 For civil cases, Yasmine conducts cases in areas of contractual disputes, land disputes, matrimonial proceedings and personal injury claims. Yasmine is fluent in English, Cantonese, Mandarin, French and Spanish. She can also read and write in Chinese.